History: Thanks to a generous donation by former Central Soya Chief Dale W. McMillen, the park that bears his name became a permanent resident of Fort Wayne in 1937. Though the park no longer hosts the city's Fourth of July fireworks show or the Twelfth Night Burning of the Greens (a gathering to dispose of holiday evergreens by bonfire), it still boasts many superb amenities. 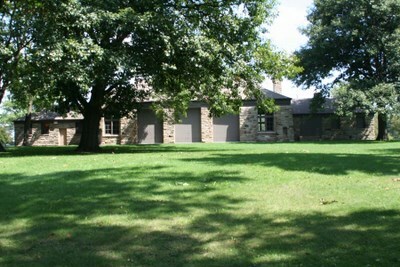 The McMillen Park Community Center is open daily. 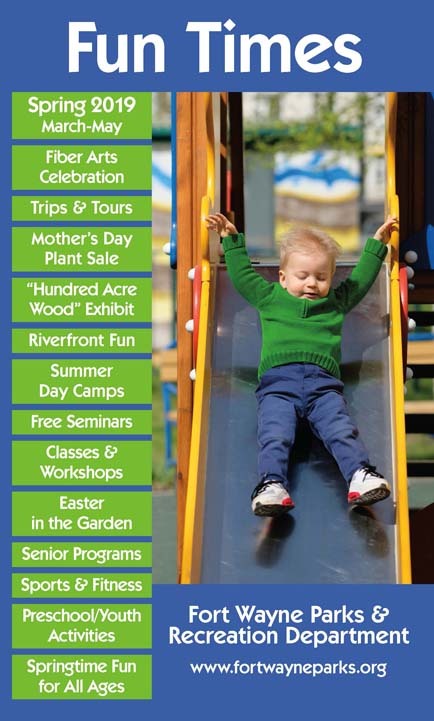 Check out the link for additional information on all of the programs offered at this site! 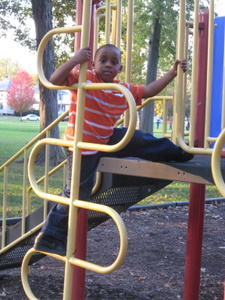 Playgrounds for toddlers on up through pre-teens are available between the Pavilion and McMillen Park Community Center. Amidst the golf course and swimming pool, McMillen also offers ball diamonds, a soccer field, and basketball courts. Tennis courts are available for use on occasion, though in the summer months they are heavily used for the Lifetime Sports Academy. A fully equipped Executive 18 holes, park 65 golf course and Mad Anthony III's Short Course, (9 holes all par 3) are available for golfers as well as a driving range. 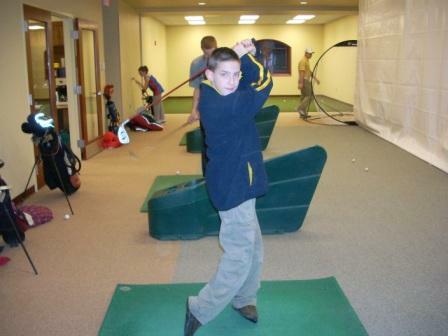 Both the Mad Anthony III's and the driving range are open to the public when not in use by the Lifetime Sports Academy. Now available at this location is FootGolf so try something new! 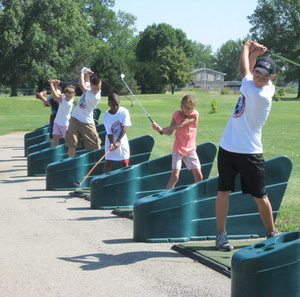 The Lifetime Sports Academy, under the supervision of Academy Director and Wayne High School teacher and track coach, Tom Hogan, is open to boys and girls ages 8-18 during the summer and offers free group lessons in the lifetime sports of golf, tennis and swimming. For those reaching certain advanced levels they are offered an opportunity to receive lessons in golf and tennis in the winter program. 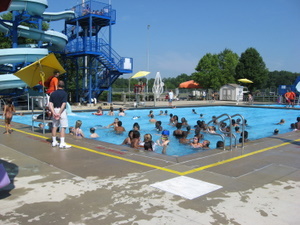 The McMillen Swimming Pool includes water slides, sunning decks, shade umbrellas, heated water and a water playground. 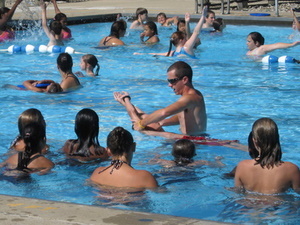 Swimming lessons are offered free as part of the Lifetime Sports Academy.